Based on Billy Graham's "Steps to Peace with God," this tract illustrates that God offers hope and peace to all during the Christmas season through the gift of sending his son. 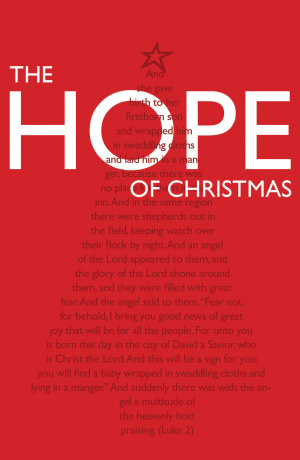 The Hope Of Christmas (Pack Of 25) by Graham Billy was published by Crossway in October 2012 and is our 45852nd best seller. The ISBN for The Hope Of Christmas (Pack Of 25) is 9781682161173. Be the first to review The Hope Of Christmas (Pack Of 25)! Got a question? No problem! Just click here to ask us about The Hope Of Christmas (Pack Of 25).